We are well into the fall season...everybody's favorite season. I wish it could be fall all year long. In Southern California, since the days are shorter, it feels cooler even though we are still experiencing 80'F days. Most nights I can cozy up with a quilt. 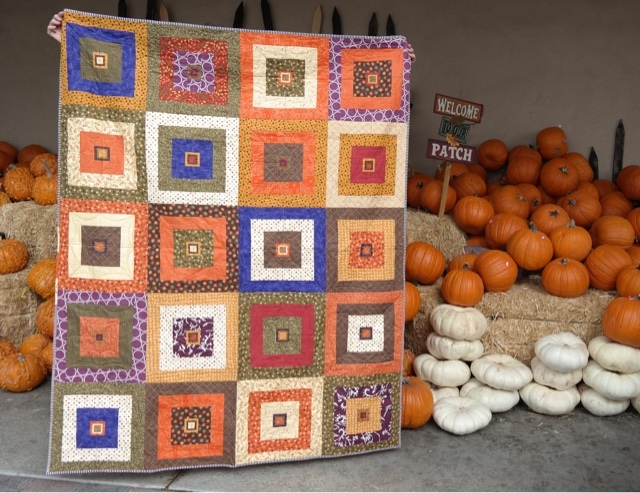 This fall quilt started as a kit I bought many years ago when my taste in quilts was quite different. 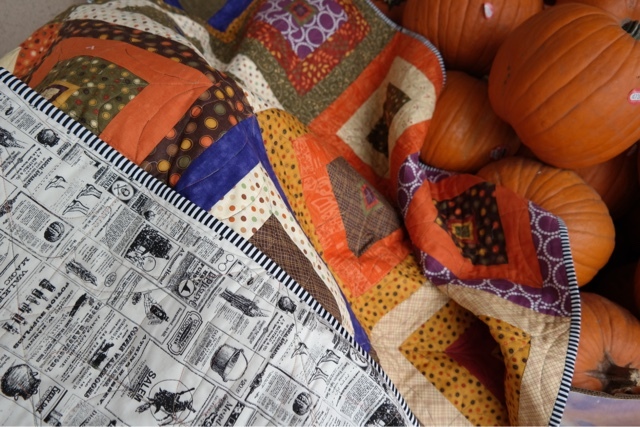 It was a strip quilt with appliquéd pumpkins and such on it. I decided to just make a log cabin quilt. I added some more current fabrics to it and I must say they really helped make it look more modern. 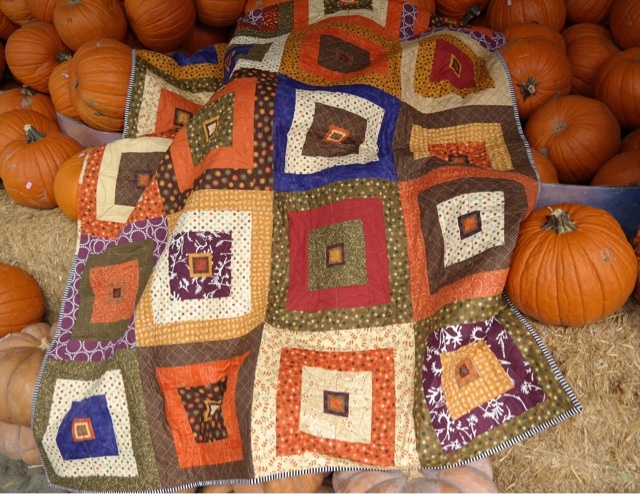 I wanted to take the quilt to the pumpkin patch to photograph it but don't you know it rained this week and it was far too muddy to risk a visit. So Mr. Romance and I did the next best thing; we took it to the grocery store and photographed it in front of their pumpkin display. 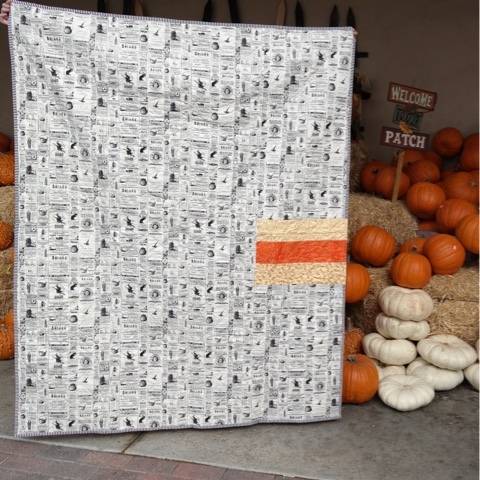 For the backing I found this great Lost and Found Halloween newsprint fabric by Riley Blake. I didn't order quite enough so I used a little of the leftover fabrics from the front to piece the panel together for the backing. 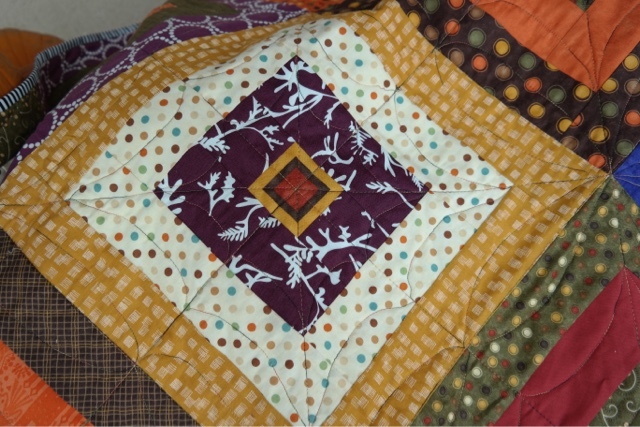 When it came time to quilt this one I knew I wanted to quilt it with spider webs. I just wish I would have done more research on quilting spiderwebs, because I didn't make them dense enough. I'll know better next time, providing there will be another opportunity to quilt with spiderwebs. 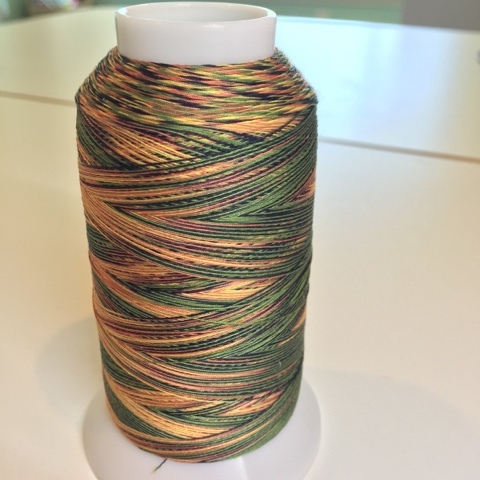 I had this perfect variegated thread to use for quilting. I think my favorite part of this quilt is the striped black and white binding because it reminds me of the stockings I have seen worn by witches in movies and cartoons. 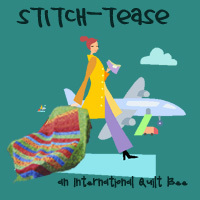 Fabrics: A kit purchased years ago with a few added prints and solids from stash.